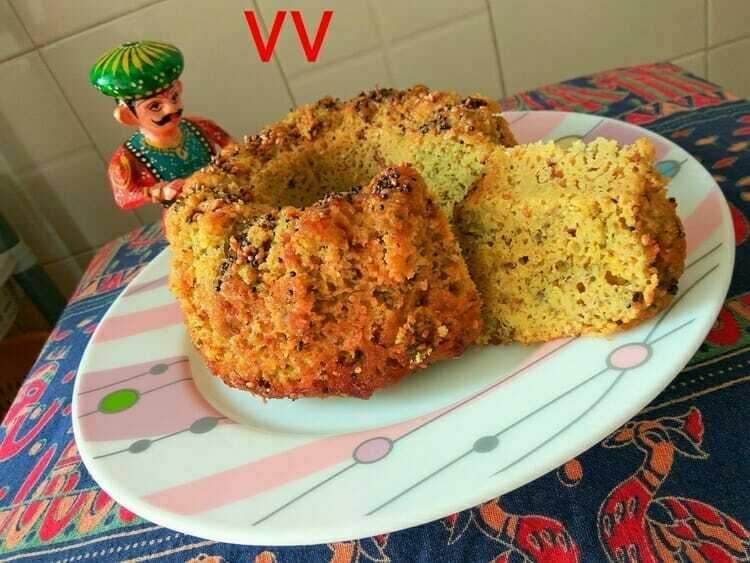 Handvo is a Gujarati dish prepared using rice, dal and veggies. It is baked using a tawa or an oven, but the latter gives more desired results. Wash and soak all lentils and millet for 4 hours. Add curd and allow it to ferment overnight. Next morning do the seasoning with the oil and keep aside. Add salt, kasoori methi, lemon juice, sugar, chilli powder, turmeric powder, ginger green chilli paste, salt, baking soda and give a quick mix. Pour the batter in a greased mould. Pour the seasoning over the batter evenly. Bake at 180 deg C in a preheated oven for 40 minutes.Let it remain in the oven for 10 minutes. Demould, cut and serve with green chutney or tomato ketchup. Went through all the millet recipes. Very nice. I’ll try some. Its so great to see a recipe website dedicated to millets. Thank you so much for your efforts madam! May i ask which brand of oven do u use and what specifications? Thanks for visitng the site. Please share your experience with us.